A bamboo and steel bike? Yep, you heard us right. 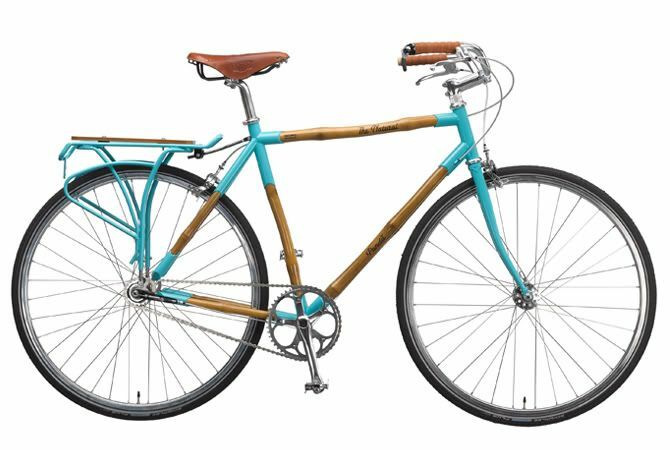 May is bike month, and this bamboo and steel bike, called The Natural, by Panda Bicycles is not only cool looking but also super strong and durable. The Colorado based company builds each bike by hand, making each a one-of-a-kind piece of modern street art. And frankly, although there are other colors and other models, we were drawn to The Natural because of its blend of bamboo and turquoise which someone makes riding it feel like you’re coasting through life without a care.